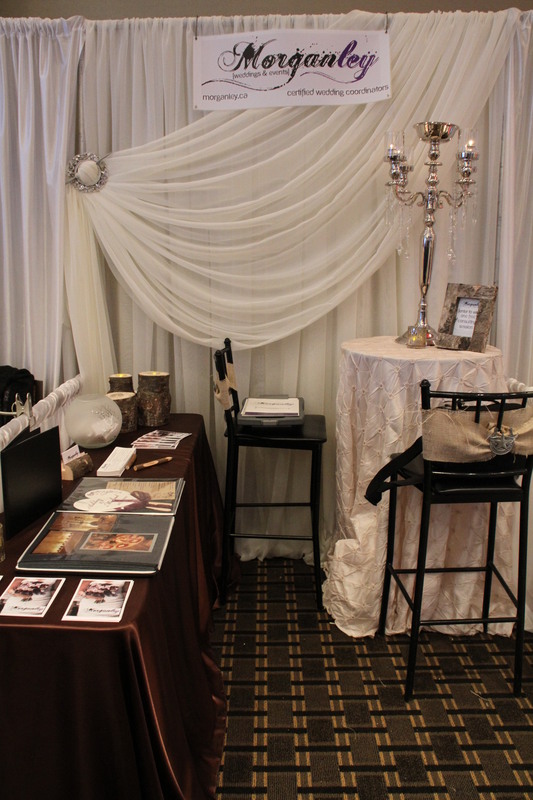 On Sunday February 26, 2012 Morganley Weddings & Events participated as a vendor at the Ajax Spring Bridal Show 2012 at the Ajax Convention Centre. We previously posted about fire wood and how we were going to use it at our booth! 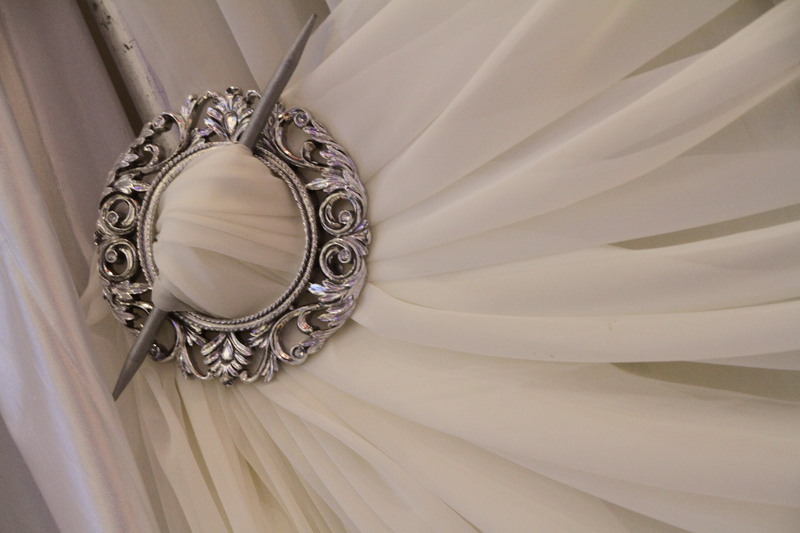 We were visited by about 400 brides last Sunday! We thank each and every one of you for coming to speak to us! 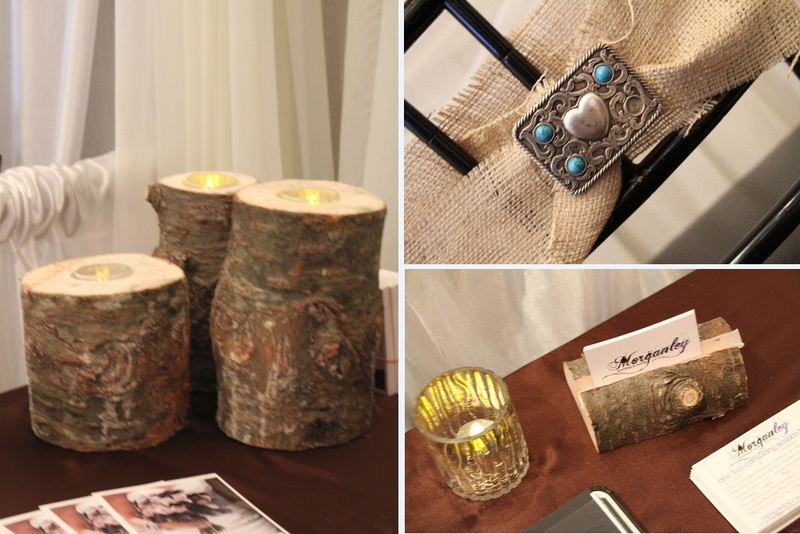 Our inspiration for our booth decor was from Miranda Lambert & Blake Shelton’s Wedding. The logs were found from various Christmas Tree farms and cut to hold candles or business cards. Annie Lane helped to pull the vision together and supplied all of the rentals, the backdrop and most of the linen. Eva and Nancy are incredible to work with! Above is a buckle in our backdrop that Annie Lane provided for us. When Morganley went to the showroom to discuss our booth decor, this immediately caught our eye and we knew we just had to have it! We visited Christmas Tree Lots during Christmas time in order to get some stumps to cut into candles. We even got a bit creative and crafted a business card holder! Belt buckles that I’ve collected (and worn) over the years were tied and displayed on the back of a chiavari bar stool with a piece of burlap. This was probably my favourite piece of the entire booth! I’m so lucky to have had past clients come out and help at the booth as well as April. Thank you!! We were accepting ballots for a Wedding Couple to win 1 Free Consulting Session*. That couple will be chosen on Monday March 5, 2012 and contacted directly. 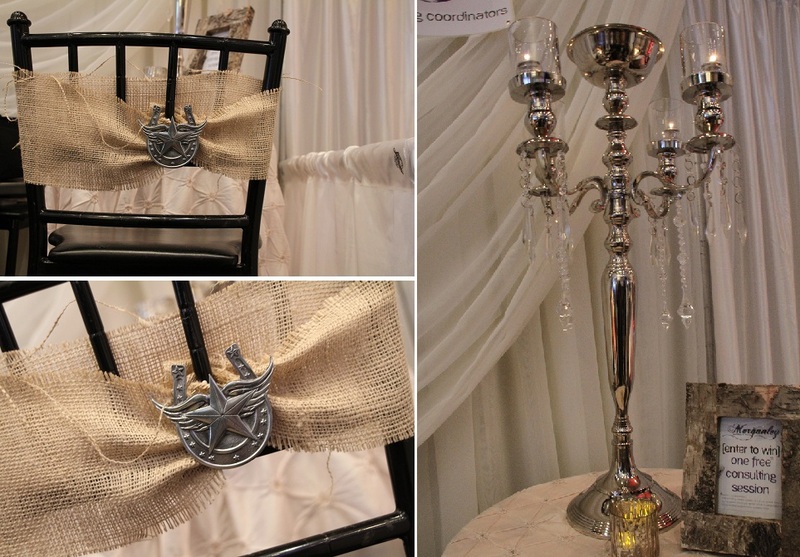 This entry was posted in bridal show, Decor, Morganley News, news/updates and tagged ajax bridal show, ajax pickering bridal show, ajax pickering wedding show, bridal show, morganley weddings, news advertiser, wedding show by morganleyweddings. Bookmark the permalink.